In order to streamline and facilitate smooth visitation by tourists from Bangladesh, India and Maldives, the Department of Immigration, Ministry of Home and Cultural Affairs and the Tourism Council of Bhutan are pleased to announce that the Online Permit System has been launched and is operational from 26 th January 2017. The Online Regional Permit system allows citizens to obtain entry-exit tourist visas on arrival to and from Bhutan. The first step to apply for a Tourist Online Regional Permit is to fill out an easy online application. Once you have electronically submitted your application, you will receive the confirmation by email. Please take care to answer all questions on the application accurately and completely. Foreigners from Bangladesh, India and Maldives can apply. 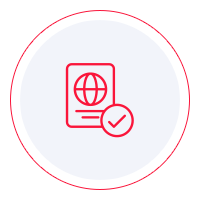 Your travel document has to be valid passport for a minimum of 6 months starting from the date of travel.